Strawberry Festival, Are You Coming? You must have heard about the famous La Tomatina festival that takes place in Spain every year and entails throwing tomatoes at each other for sheer fun. However, that can be quite a messy affair. Now what if you were told about a festival happening right in India, wherein you can pluck fresh strawberries yourself and eat them to your heart's content? Panchgani, a famous hill-station located in the middle of the mighty Sahyadri ranges is offering an opportunity for strawberry lovers to come and savor this delectable fruit, absolutely free. 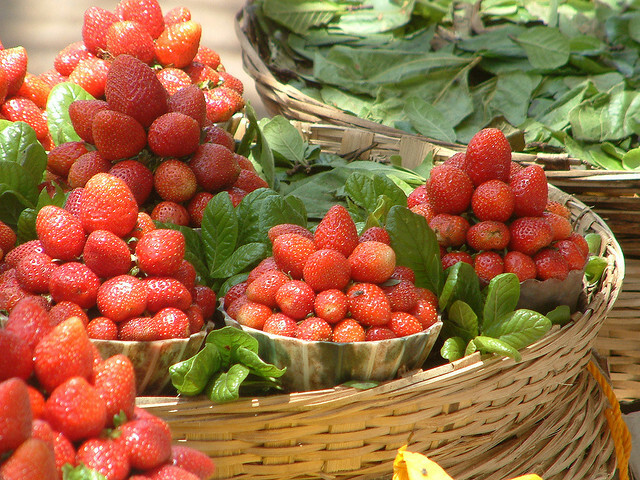 Termed as the Panchgani Strawberry Festival, you actually get a chance to walk through rows of juicy strawberries with nobody to stop you from eating them. It was during the reign of the British that Panchgani was founded as a retreat for people to take a break from their hectic schedules. Since then it has turned into a major tourist and holiday destination. You can reach Panchgani in a short span of 4 hours from Mumbai, India's financial capital. What makes this place ideal for the production of strawberries is the moderate weather. This delicious fruit was cultivated right from the time of the British rule and continues to be grown by the locals too. In fact, the strawberries from this region and adjoining areas such as Mahabaleshwar, another famous hill-station are highly in demand and traded to many cities across India. 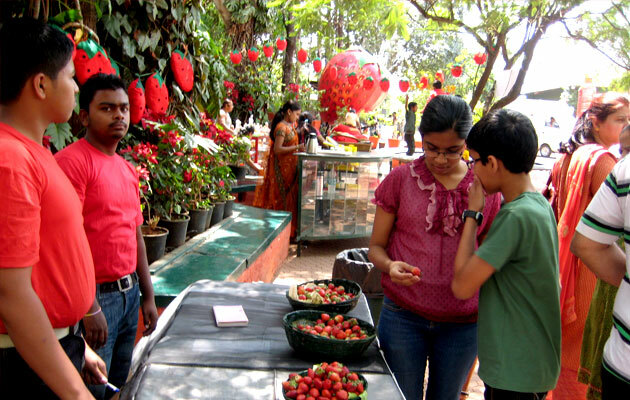 Yet another enjoyable carnival that you can go to, is the Mapro Strawberry Festival organized by strawberry giant Mapro, which is based in Mahabaleshwar. A 4-day celebration, this event gives you access to the best strawberry selections such as the Interdown, KamaRoza, Sweet Charlie, etc. 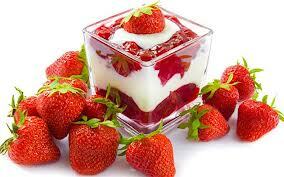 and not to forget the globally well-known Mahabaleshwar strawberry. You just cannot give the delicacies made from this fruit a miss. Strawberry fans ought to try lip-smacking dishes such as strawberry chocolate pizza comprising of rich dark chocolate sauce and of course strawberry toppings. Or Chocoberrywitch made from whole wheat bread coated with chocolate sauce and freshly picked strawberries. These are just a couple of the many delectable strawberry creations you can have at the festival. While you are relishing free strawberry, you can revel in the Lezim dance. It is a kind of folk dance that originated from the state of Maharashtra. Performers swing to foot-tapping music with a small musical instrument in their hand called the Lezim, which has chiming cymbals attached to it. Live orchestra strumming to some Bollywood oldies will pull you to the expansive dance floor to shake a leg. You may even request them to play your favorite song and they sure would be happy to oblige. Visit the watercolor tattoo and mehendi stalls where skilled artists will sketch lovely designs as per your wishes. If you still can't get enough of the fruit, then you should just head out for a strawberry-picking stroll. Whether you are young or old, with family, buddies or your spouse, you will love to take a walk along innumerable rows of strawberry plants, pick the ones that you like and relish them. The 3-day festival begins in April. So ensure that you make all your arrangements well in advance. You could even extend your stay at the Ravine hotel and indulge in some sightseeing. Bring your family and friends to be a part of this fun-filled festival and create strawberry memories!